The majority of ear infections are viral or bacterial in nature, usually occurring after a cold or upper respiratory infection. 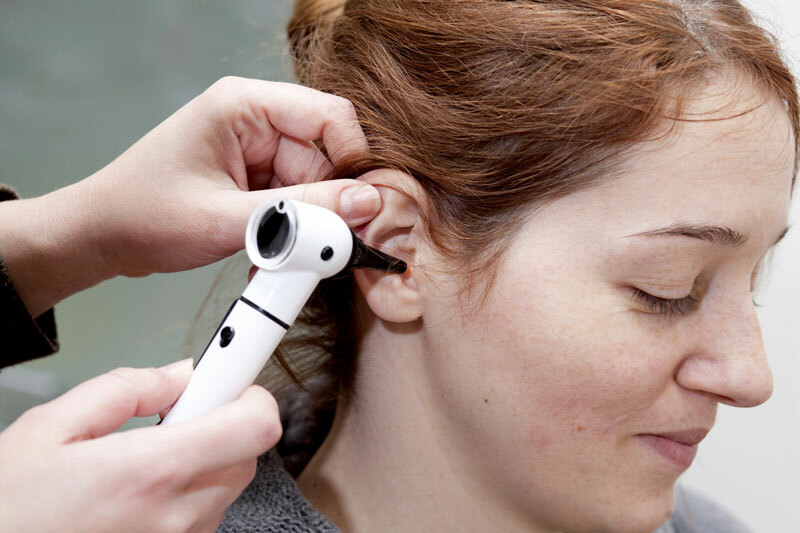 These conditions cause swelling of the Eustachian tube, a small canal that connects the middle ear to the nostrils and provides an outlet for fluid drainage, trapping germs and fluid in the middle ear and leading to infection. Because children are still growing physically, some of their internal organs may also be temporarily underdeveloped. This is true of the Eustachian tube, the canal that connects the middle ear to the nostrils, providing an outlet for fluid drainage. Because the Eustachian tube is smaller in children, it is more prone to swelling; when this occurs, fluid is trapped in the middle ear. This fluid presses against the eardrum, causing pain, and can harbor germs that lead to infection. The result is an earache and, in some cases, loss of hearing. When the infection does not completely go away or returns often, it is referred to as chronic. Infants are often fussier than usual, and may cry inconsolably, refuse to eat and have trouble sleeping. They may also pull or tug on the ear. Symptoms may be milder in chronic ear infections. Should your child display any of these symptoms, bring them to the doctor; the sooner an acute ear infection is treated, the lower the chances of it developing into a chronic condition. What Are the Treatments for Ear Infections? When medication is not effective, a surgical solution involving ear tubes may be considered. These are inserted in the middle ear and provide ventilation and fluids, keeping the ear clear and preventing infection. Most ear tubes remain in place anywhere from six to 18 months and eventually fall out on their own. If not, surgery to remove them is performed. Are There Complications from Untreated Ear Infections? For these reasons, early detection and treatment are crucial. Better still is prevention. You can’t always stave off an ear infection, but there are steps you can take to reduce the chances of your child developing one. These include breast-feeding your baby, making sure he or she is up-to-date on vaccinations, practicing good hygiene (e.g., regular hand-washing), keeping your child away from tobacco smoke, and enrolling them in as small a day care or preschool facility as possible. Simply put, fewer children mean fewer germs.